My story "The Sun Also Explodes," out this month in Lou Anders' Fast Forward 2, imagines a near-future conceptual artist who grows speculative organs from the stem cell material of celebrities as part of a promotional stunt with the for-profit stem cell bankers. So I was fascinated to read in today's paper about the latest development in open source genomics: the Personal Genome Project, which will publish the complete genomes of participants in an effort to fuel research. 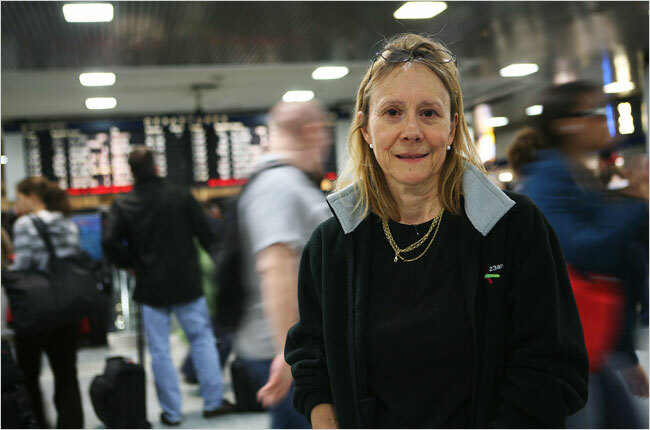 Starting with ten notable public participants, including the amazing Esther Dyson. If you wanted to, say, clone her, the full recipe can be found here. Because of the known and unknown risks, Dr. Church required the first 10 participants to demonstrate the equivalent of a master’s degree in genetics. Most are either investors or executives in the biomedical industry, or else teach or write about it, so they may have a financial interest in encouraging people to part with their genetic privacy. The project has drawn criticism from scientists and bioethicists who caution that even its highly educated volunteers cannot understand the practical and psychological risks of disclosing information long regarded as quintessentially private. For now, the PGP, which is privately funded, is sequencing only the fraction of participants’ genomes thought to have the most influence over disease, behavior and physical traits. But the question of how much value to place on genetic privacy has taken on more urgency as the technology for sequencing an entire human genome accelerated and the price has plummeted to as low as $5,000, so that it may soon be possible for everyone to possess their own genetic readout. Sequencing a human genome — the six billion letters of genetic code containing the complete inventory of the traits we inherited from our parents — cost over $1 million just two years ago. The two scientists whose full genomes were sequenced in the name of research both made them public. But they differ on whether the practice should be widely recommended. How long before for-profit sites spring up selling access to the genomes of celebrities? Containing the formulae your offshore organ cloning bank can use to generate that replacement part you've been looking for. Of course, in the beginning the pioneers will no doubt be financially tight denizens of the B-list, but that could be kind of cool in its own crazy way. How about historical figures who left behind sufficient physical material to derive the code? Ideally, ones without living heirs. Brave New World? The future will be like a cross between Gattaca and a rerun of The Love Boat.